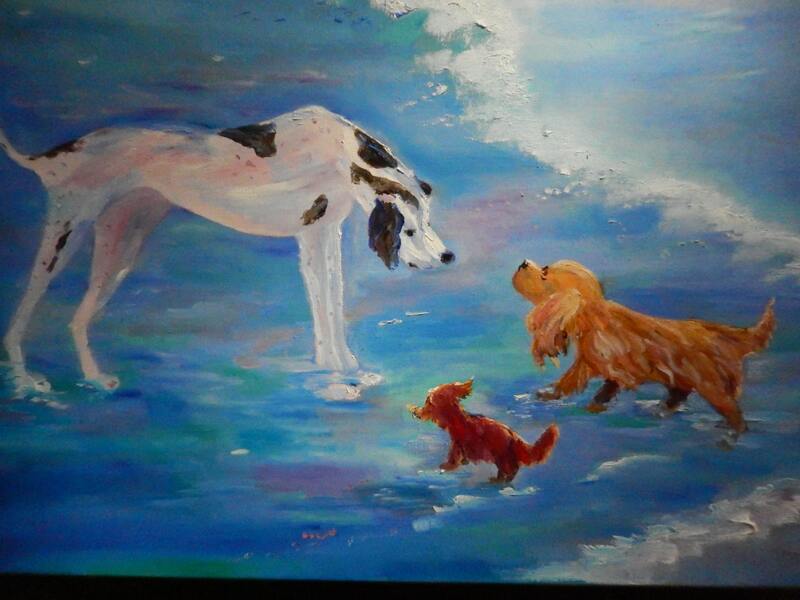 LET'S PLAY is a 24” x 36” Unframed painting. 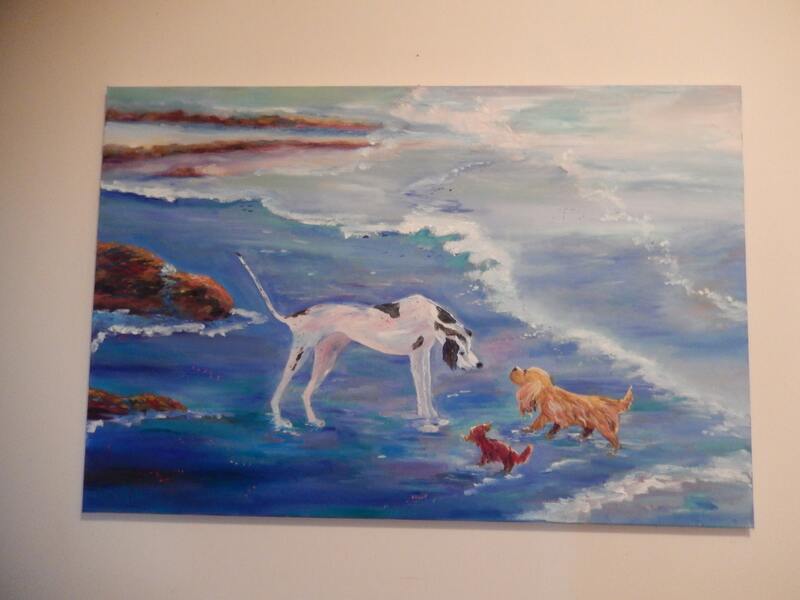 This is a wonderful large painting that will light up any room it's hung in. The brilliant blues of the ocean catch the eye and add to any decorating color scheme. 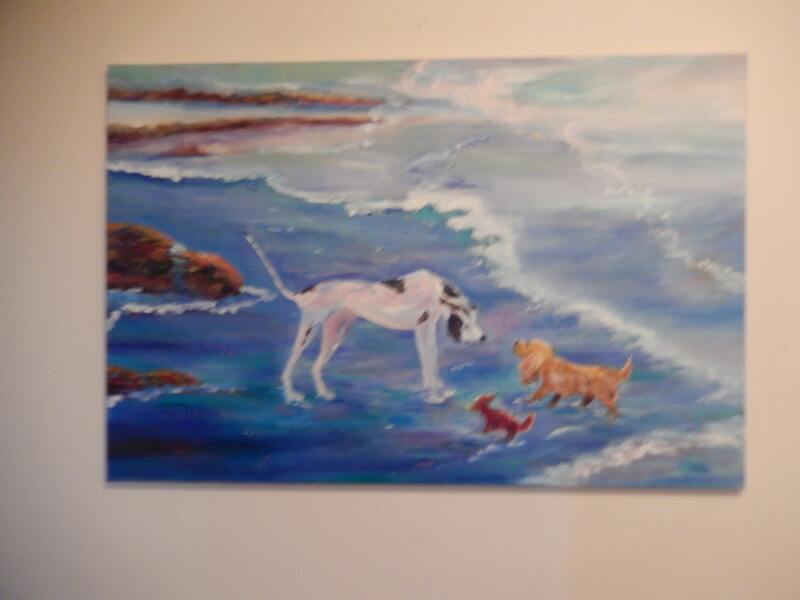 And the comical depiction of the three dogs will bring a smile to your face every time you look at it. 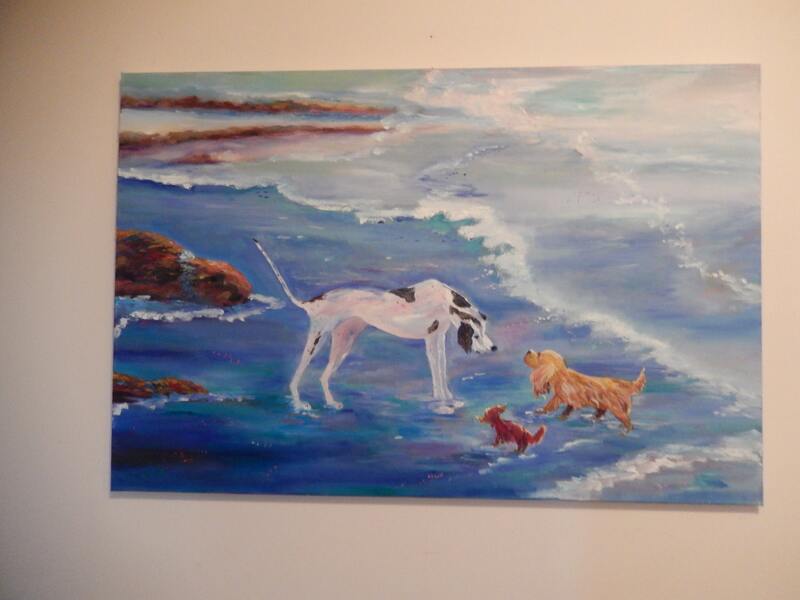 This brilliant painting depicts three dogs as they meet to play in the waves on shore. There are rocks in the distance and the blue of the ocean is a wonderful color as it moves onshore. This is a very large painting. It is hard to photograph it, so there are many closeups. Some pictures are taken of it hanging on the wall. Some are of it on a dark rug in the sunlight. I hope I was able to capture the brilliance of the vivid colors of the painting. 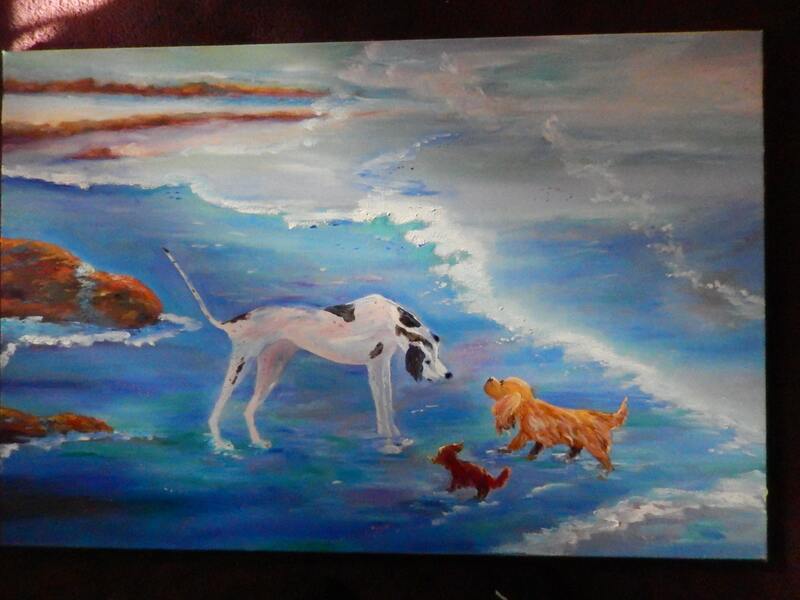 This is a wonderful piece that anyone would be proud to own.